So, another year is over and retailers across the country are now dealing with the aftermath of what has certainly been a festive season of mixed results. For some businesses there has been growth, with additional revenue generated compared to previous years, whereas for many others it has been a year of stagnation due to the difficult economic climate. This is well reflected in the contrasting reports from recognised retailers, with supermarket giants like Aldi, Lidl, Morrisons and Tesco all seeing sales increase this year, but then Debenhams, M&S, Mothercare and HMV amongst those suffering from a downturn over the Christmas period. The British Retail Consortium (BRC) has also painted quite a gloomy picture, with the organisation reporting 2018 as the worst festive season for retail since 2008. 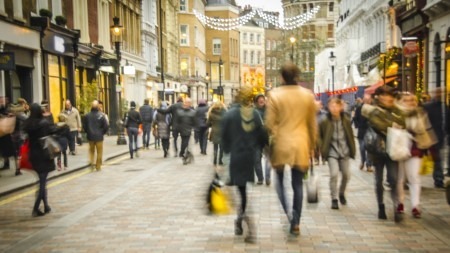 With the uncertainty of Brexit hanging over consumer heads it was always going to be a testing festive season for some retailers, however it’s important for businesses to ensure they are set up to make up the ground in 2019 by keeping costs down and capitalising on more sales opportunities. To look at how retailers might be able to achieve this, we broke down the numbers for Christmas 2018 trading to see what lessons could be learnt and applied to strategies for 2019. If Christmas 2018 taught us anything, it is that online sales continue to rule the retail trading arena, propelled by more businesses taking part in Black Friday and Cyber Monday to boost festive demand. These events are now firmly instilled in the consumer psyche when it comes to Christmas and as a result, the popularity of Black Friday and Cyber Monday is at an all-time high. 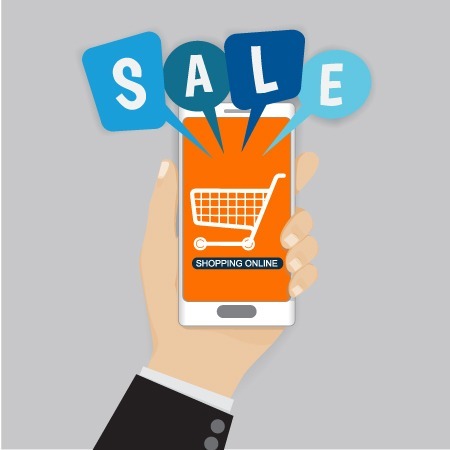 In research conducted by Springboard, online sales had reached a 46% year on year increase by 4pm on Black Friday 2018, with the total online spend for the day reaching just under £1.5 billion. Supporting this was research conducted by Hitwise, who found retailers received 1.2 billion websites visits between the 19th and 25th November, with 194 million of these visits arriving on Black Friday alone. With more businesses also disclosing deals in advance of Black Friday, Google stated in their findings that searches for “Black Friday” have increased by 80% over the last 2 years. Finally the Office for National Statistics (ONS) found consumers spent £1.9 billion online in December – equivalent to a fifth of all retail spending. With events like Black Friday being as popular as they are, it is no surprise to see online trading continue to dominate retail sales. After all, with larger discounts being offered online and greater delivery convenience, with many retailers now offering next day services, it is no surprise that consumers are choosing to shop online to avoid the crowded high street and busy Christmas rush. With the focus increasingly pointing online, not just at peak times but also year-round, this highlights the importance for businesses to focus on how they can boost their online trading performance in 2019. Here is that word again, but the fact is an omni-channel approach to trading remains the key to unlocking greater revenue and retaining customer loyalty. This has been backed up by a study by Criteo that found omni-channel customers have the highest lifetime value to a business, generating on average 27% of all sales despite only accounting for 7% of the customer base. With omni-channel trading representing the greatest profitability to a business, it is important for businesses to create a more holistic sales approach for their customers. Therefore, an eCommerce website shouldn’t just be a sales platform, but also a place where customers can manage their account, check outstanding order progress and order history, as well as view pricing, discounts and special offers tailored to them. If the business also has physical stores, these can then be used to further enhance the omni-channel experience, with businesses able to offer a seamless Click & Collect service with the right tools in place, offering more flexibility and convenience to their customers. Loyalty schemes that enable customers to earn/spend points both online and in-store can also promote omni-channel customer retention and repeat purchases. 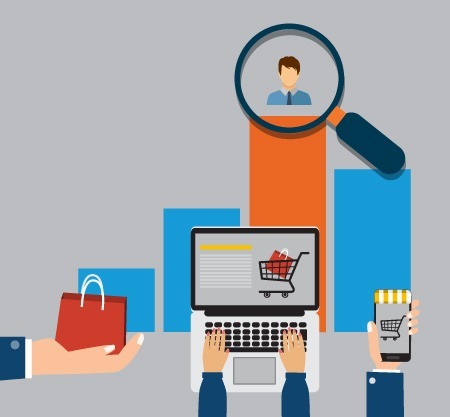 So, with the eCommerce boom meaning websites should act as the central hub through which trading is driven, it is important to take a customer-centric approach in the delivery of any online sales strategy. 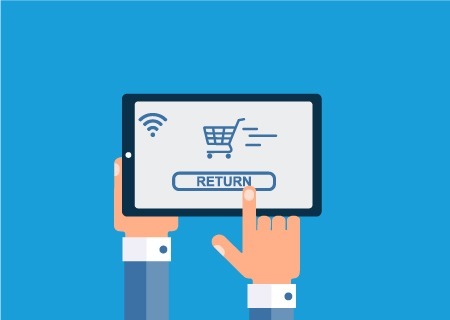 Businesses should think about how implementing a strong omni-channel experience can boost revenue throughout the year by targeting their most profitable customers, but also how this can pay dividends by the time festive season 2019 arrives. Businesses can often forget that profitability during the Black Friday/Christmas peak is not just about making the most of the additional sales opportunities that are presented, but also ensuring operations are set up to cope with the increased demand as well. However, this is not just on the order fulfilment front, but also importantly on the returns side too. Global Data recently released statistics that showed 1 in 9 UK shoppers will return Christmas gifts, with just over 10% of all Christmas present recipients making at least one return and half of that figure also returning more than one gift. They also highlighted Boxing Day as when the highest level of returns will be processed. With this being the case, it is vitally important that businesses have the right infrastructure to not only quickly and accurately fulfil large volumes of online orders, but also efficiently process any that come back as well. Therefore, as well as implementing a sound online trading platform backed up by an effective omni-channel sales strategy, businesses should also ensure they have the right tools so they don’t get overwhelmed by fulfilment and returns demand during peak seasons. To achieve this, strong integration between front end sales platforms and back end fulfilment systems is required, as this will allow eCommerce orders to be instantly made available to pickers as they are received so orders can be quickly collected and shipped. At the very least, businesses should also now be using barcode scanning devices to pick orders, using this technology to help eliminate mispicks, reduce errors and speed up despatch processes. What’s more as unwanted Christmas gifts arrive back, these returns can be processed at both a higher speed and a lower cost. In conclusion then, it is clear there were both successes and failures this festive season across the retail sector and heading into 2019, it is important for businesses to analyse performance and look to see what operational improvements can be made heading into the next sales peak. With eCommerce continuing to soar and omni-channel customers representing the most value, it is crucial that retailers assess their online presence this year and ensure they can capitalise on the sales opportunities available when Black Friday and Christmas come back around. With a strong back-end operation then allowing orders and returns to be both accurately and efficiently processed, businesses can propel their profitability by keeping costs down and leaving customers fully satisfied. If you would like to find out more about how OrderWise can help provide your business with an integrated omni-channel solution, please contact us on 01522 704083 to speak to one of our business consultants today.